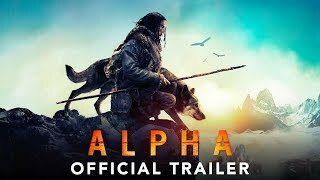 Alpha (film, 2018). A 2018 American historical adventure film with "PG-13" rating by Sony Pictures Releasing. Directed by Albert Hughes. Official Trailer. 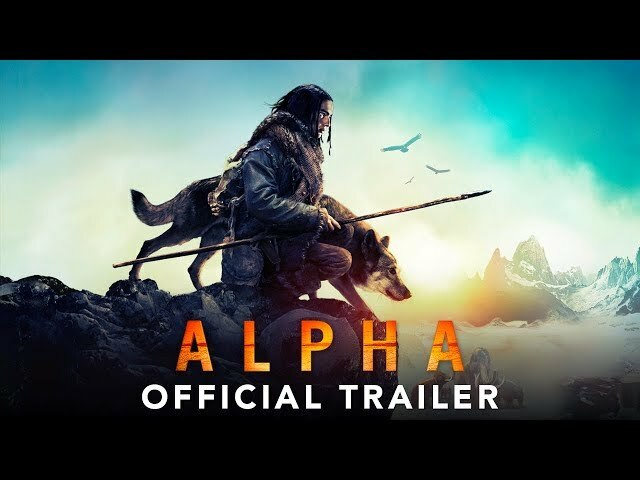 Alpha is a 2018 American historical adventure film directed by Albert Hughes. ALPHA - Official Trailer #2 (HD). In Upper Paleolithic Europe 20,000 years ago, a small tribe of hunter-gatherers prepare for a hunting expedition to hunt for the coming winter's food. Tau, its chief, trains his teenage son Keda, accepting him and another boy to join the hunting party. His wife Rho worries that Keda is not ready, but Tau believes he is and the hunters set out. Tau tests Keda by having him kill a wild boar they've caught, but Keda hesitates. One night, the party's fire draws the attention of a large cave lion, which lunges through their circle, snatching Keda's friend before anyone can do anything. Hearing the fatal struggle in the darkness, the tribe gives him up for dead. The member is given a memorial service in the form of placing rocks to symbolize the passing of one's spirit to the afterlife. The hunters eventually reach a herd of steppe bison, which they attempt to stampede off a cliff in relative success. Amidst the chaos, the chief bison rushes towards Keda and throws him over the edge, leaving him gripping the rough cliff edge with his hand. Keda loses his grip and falls to a further ledge where he appears to break his leg and is knocked unconsciousness. Tau attempts to climb down to him, but he is stopped by another member of the tribe who assures him in good faith that Keda is dead and there would be no way to reach him nonetheless. The tribe leaves and Tau performs another funeral ritual, stricken with grief. Keda is awoken by a vulture who mistakes him for dead. Keda smacks the bird away and tries to climb the rest of the way down the cliff. A sudden heavy rainfall causes the ravine below to flood. Losing his grip, Keda jumps into the water. He survives and splints his injured foot before returning to the top of the cliff. Seeing the memorial cairn left by his tribe, he realizes he must travel back to the village by himself. The film Alpha was scheduled to be released by Sony Pictures Releasing on August 17, 2018 (United States), on August 23, 2018 (Ukraine), on August 24, 2018 (United Kingdom) and on September 6, 2018 (Germany). The duration of the film is 96 minutes. With a budget of $51 million, the film grossed over $99.6 million. Alpha got high rating from critics. The audience also likes the film. Audiences polled by CinemaScore gave the film an average grade of "B+" on a scale ranging from A+ to F.